You are here : Home / Posts Tagged "graphene"
Researchers of Micro-Nano Technologies Unit (U8) of NANBIOSIS, are co-authors of a new paper published in Advanced Functional Materials. Neuroelectronic interfaces bridge the central nervous system to the outside world and hold great potential for functional restoration in persons with paralysis, other forms of motor dysfunction, or limb loss. Neuroscientists and neurosurgeons are thus looking for technologies that could ideally record the whole brain with a high spatial and temporal resolution. Electrocorticography (ECoG), the practice of placing arrays of large-diameter electrodes (few millimeters) directly on the cortex is the current clinical solution to obtaining brain recordings with high temporal resolution. Recent research from the CIBER-BBN and IMB-CNM Biomedical Applications group (IP Rosa Villa) coordinator of NANBIOSIS Unit 8, in collaboration with ICN2 (IP JA Garrido) , IDIBAPS (IP MV Sanchez Vives) and INSERM (IP B Yvert) groups, has focused on the development of graphene technology for electrocorticography. Specifically, flexible graphene transistor arrays have been fabricated and applied to the in vivo measurement of local field potentials. Graphene is one of the most promising material candidates for neural interfacing thanks to its biocompatibility, low dimensionality and mechanical properties. Additionally, graphene exhibits extraordinary electrical properties such as high carrier mobility and chemical stability, features that only few materials can offer therefore helping to create a very intimate interface between the tissue and the transducing system. However, previous in vivo studies using single layer CVD graphene have used an electrode configuration. Instead, here they propose the use of a transistor configuration. The main reason for this choice is certainly the local preamplification inherent to a transistor. As a consequence, less environmental noise is picked by the device. Their work presents a complete description of the fabrication technology, the operation of graphene solution-gated field-effect transistors (SGFET) in saline solution and of the custom characterization electronic system. The devices are finally used in in vivo experiments in which the transconductance and noise are first characterized during slow-wave activity followed by the recording of visual and auditory evoked activity as well as of synchronous activity in a rat model of epilepsy. An in-depth comparison of the signal-to-noise ratio of graphene SGFETs with that of platinum black electrodes confirms that graphene SGFET technology is approaching the performance of state-of-the art neural technologies. Full details of the fabrication, characterization and in vivo performance of the flexible graphene transistor probes can be found in the paper below. Hébert, C., et al., Flexible Graphene Solution‐Gated Field‐Effect Transistors: Efficient Transducers for Micro‐Electrocorticography. Advanced Functional Materials, 2017. 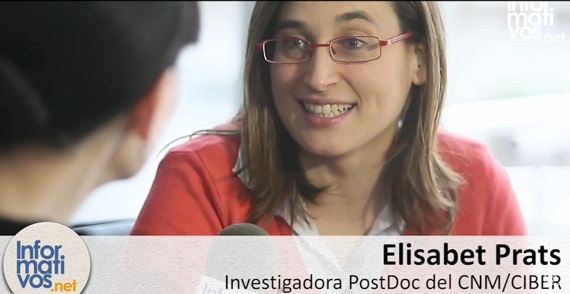 Elisabet Prats, researcer of the GBIO Group, coordinator of Unit 8 of NANBIOSIS, participated in the #ImproCiencia dissemination event, held on November 16 in Madrid organized by CIBER. 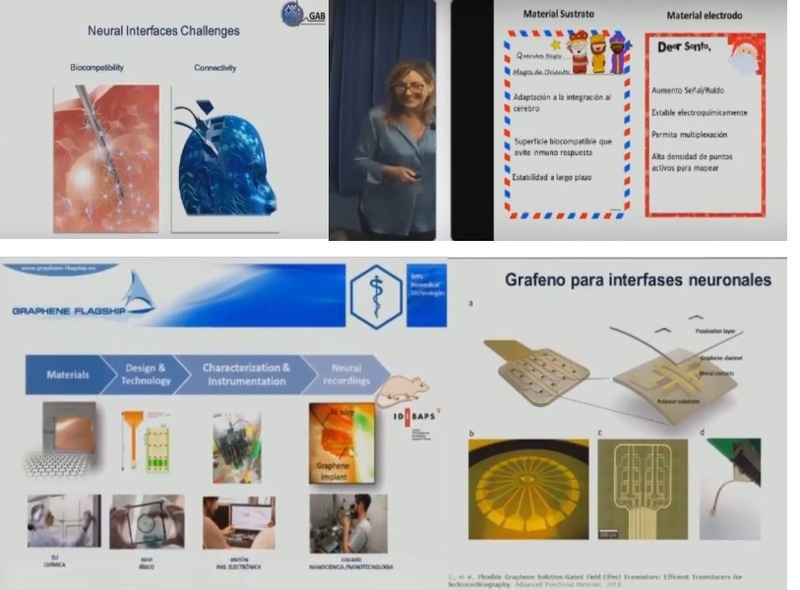 Elisabet presented the Neurographene project as a monologue and explained how they are using graphene for Measure the electrical activity of the brain. Based on the latest microfabrication technologies, the devices consist of graphene microsensor matrices mounted on flexible polymer substrates that adapt to the surface morphology of the brain. Each sensor detects tiny changes in the electrical activity around it. Thus, the electrical activity generated by the neurons is detected as a small change in the conductivity of the graphene sensor. These devices are already being used in the study of sleep and epilepsy in animal models. 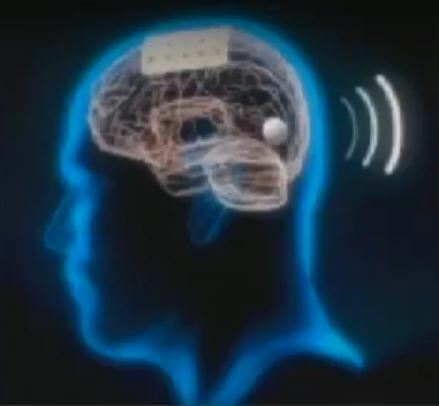 The graphene sensor implanted on the brain surface allows the simultaneous recording of electrical activity in different regions of the cortex. Also, the technology of flexible graphene sensors can be used in other biomedical applications in which it is necessary to obtain relevant information from the cerebral cortex. “Graphene will revolutionize the world,” said Elisabet Prats. The Graphene Flagship, the EU’s biggest ever research initiative, involves the coordination research of over 150 partners from more than 20 European countries withing a timeframe of 10 years. This project is implemented as a total of 15 research Work Packages on specific science and technology topics. The new Work Package will focus on the development of implants based on graphene and 2D-materials with therapeutic functionalities for specific clinical outcomes in neurology, ophthalmology and surgery, between other disciplines that will be further developed in the next phases of the Graphene Flagship. 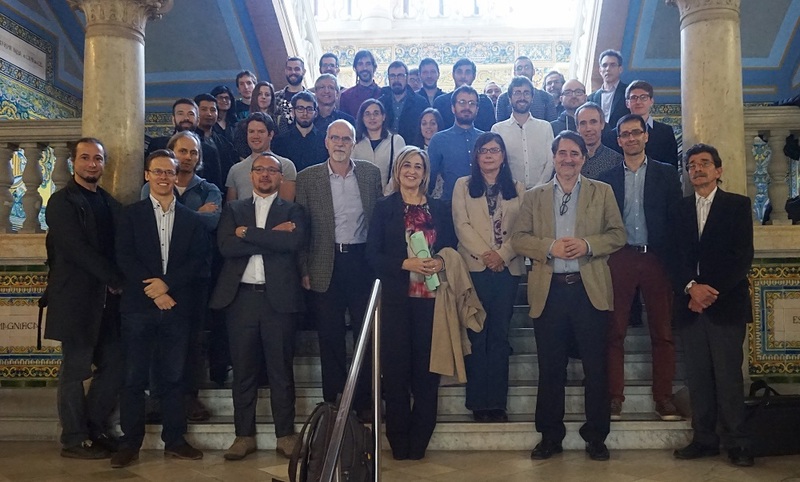 The launch meeting held on 11 and 12 April in the Convalescence House of the Autonomous University of Barcelona (UAB), was co-organized by the ICN2, the National Microelectronics Centre (CNM-IMB-CSIC, CIBER-BBN; researcher Dr. CSIC. Villa Rosa) and IDIBAPS. This meeting began with two lectures given by well known neuroscientists, Dr. Gerardo Conesa, chief of neurosurgery at the Hospital del Mar (Barcelona) and Dr. Xavier Navarro, the Institute of Neurosciences at the UAB and belonging to CIBERNED.